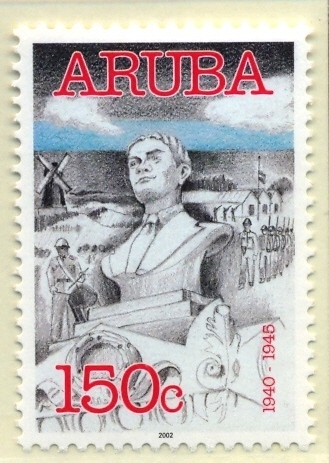 Tiny Aruba has played an important role in World War II. When it came to production Lago was one of the biggest refineries in the world at that time. 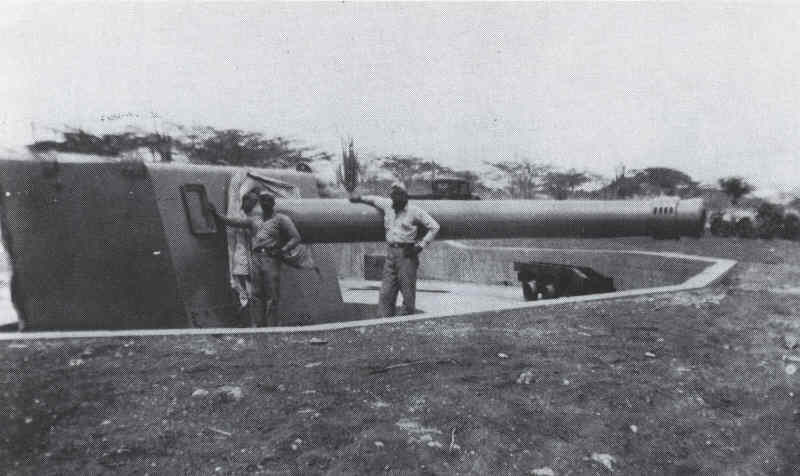 The fuel, refined at Lago, was used for the allied air force and that made the island a vital point in the Western Hemisphere: for the Americans to defend and for the Germans to attack. So torpedoes were fired at ships and at the Aruban coast. 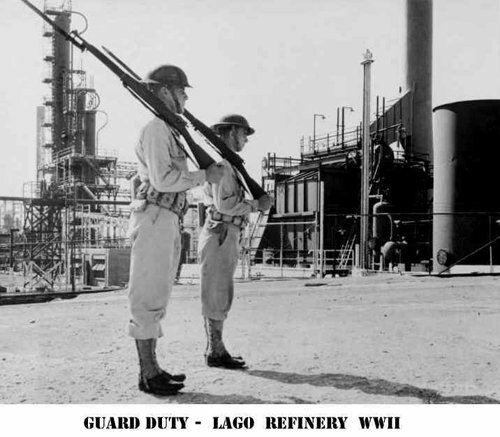 In 1939 already, as the threat of war was in the air, the first steps were taken to defend the island and the refinery. At Juana Morto, the highest point of the easterly part of the island, a coastal battery was built, overlooking the refinery and the North and West coast. In those years, Aruba was frequented regularly by German ships, but at the moment that the Germans attacked the Netherlands and the war between both countries broke out, only the German ship Antilla was anchored off the coast of Malmok. Since it now was a ship of a nation that Holland was at war with, the ship was surrounded by the military and the crew was summoned to surrender. When the military threatened to use force, the crew got into the life boats and the captain set fire to the ship. It broke in two and sank just off the coast. The crew was incarcerated and later transferred to the internment camp on Bonaire; the same happened to the Germans that lived or stayed on the island. In the evening of May 10th, 180 French marines landed on Aruba to help with the defense of the island. Lago was fortified with anti-aircraft guns and Oranjestad and San Nicolas were blacked out at night, as were both refineries, Lago and Eagle. In July of 1940, the French troops were relieved by English and Scottish troops. 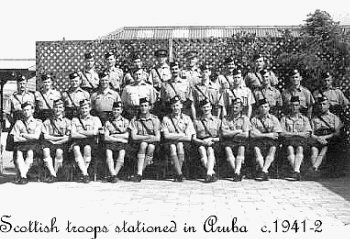 Aruba itself only had a small regiment of volunteer soldiers, the 'Vrijwilligers Korps Aruba' (V.K.A.). That's why military service was instated and in December of 1940, the first batch was recruited. To respond to the growing need of lodging for the military, construction took place in Oranjestad and in Savaneta. In Oranjestad, an officer’s accommodation was built that served as a so-called pasanggrahan after the war. After that, it served as Government building for decades. Behind it, NCOs' quarters were built, which later became the Collector’s office. The buildings on the Oranjestad waterfront, that were converted after the war by businessman De Veer to become a cinema, a restaurant and department stores, had also been built in the war, as canteen and dorms. In Savaneta, a military camp was built up for the Scottish troops (The Cameron Highlanders) and after the war for the Royal Dutch Marines. At the end of 1941, America got involved in the war and the entire Caribbean came under American supervision. 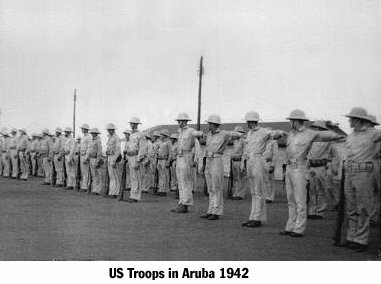 In January of 1942, the first American soldiers arrived on Aruba. The Scottish then left again. Heavy American bombers came to Aruba and the Dakota airport turned out to be too small. The air strip was extended and a new coat had to be applied. Around the airport, big camouflaged parking lots for the American planes were built. The surroundings were fenced off with barbed wire and guarded by American soldiers. The main road from Oranjestad to San Nicolas had to be moved too as a result of the expansion of the airport. At first, it used to lead, from town, beginning at the Fergusonstraat, directly to Parkietenbos, where the connection with the coastal road still exists, near the dump. From that point, the coastal road was extended in the direction of Oranjestad, along the seaboard. Since April of 1942, this coastal road is called L.G. Smith Boulevard, after the Lago general manager at that time. The new airport building was also built on this new coastal road. 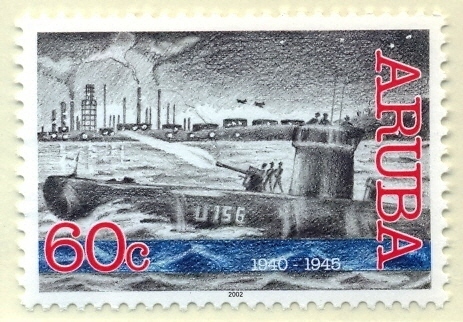 In the night of February 16, a large scale attack took place by the German submarine U-156. Several torpedoes struck ships lying off the coast or in the harbor. 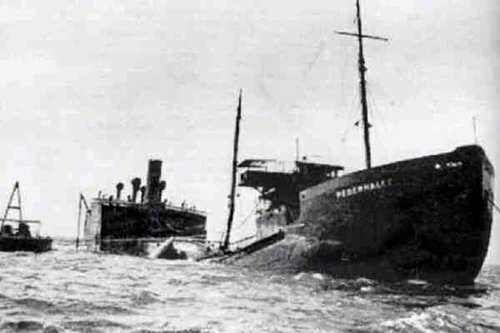 The Pedernales was the first and the Oranjestad was the next one to be hit. Both ships caught fire and sank. More were to follow that night. The number of victims was considerable. Some Arubans, not yet aware of the importance of a black out during a bombardment at dark, switched on the lights at home and even took the car and headed for the coast, their headlights switched on, hoping to catch a glimpse of the submarine……. However, the most important target for the U-boat was the Lago. In those days there was no black out at all, the target lay there, fully lit. After the firing of the torpedoes, the U-156 emerged and the crew hurried to prepare the heavy artillery on deck of the submarine for the bombardment of the refinery. In the excitement of the moment, the deck gunner forgot to remove the plug from the end of the cannon barrel and the muzzle exploded, while firing the first projectile; the deck gunner was killed instantly and an assisting crew member was seriously injured (for more information about this story, please read THE U-156 LEGEND at the bottom of this page). This fatal error spared Lago almost total destruction, because after the loss of this cannon, the U-boat only had a much lighter gun on board. That was used to shoot at the refinery and at the surrounding buildings but the damage was only minor. 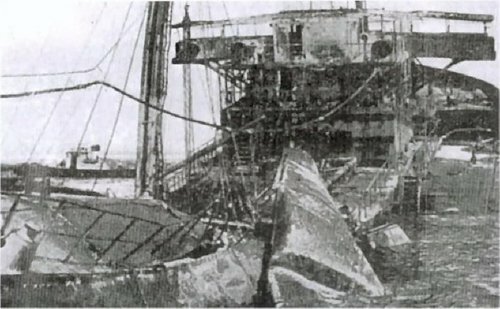 So Aruba escaped that night and not only because the bombardment of Lago failed: there also was a ship, loaded with 3000 tons of TNT (dynamite), in the harbor. 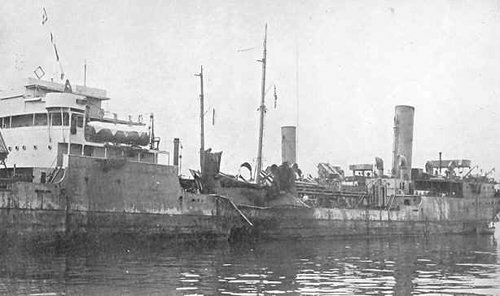 The Henry Gibbons just had not yet set sail when the torpedo attack started. The crew still wanted to have a cup of coffee before taking to see……. . If it had been a direct hit, the devastation on Aruba would have been unimaginable. 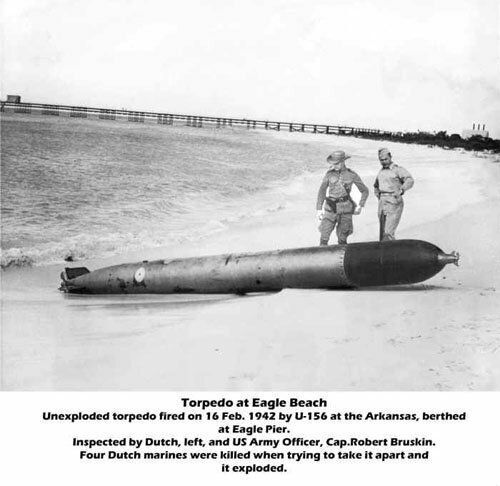 A day later, a torpedo that had missed its target, was found on the beach, near the Eagle refinery. An attempt to disarm it failed, killing four Dutch marines. After the attack on San Nicolas and the Lago, the inhabitants started to leave San Nicolas. Arubans headed towards Santa Cruz, American families left for Maracaibo to travel back to the States. 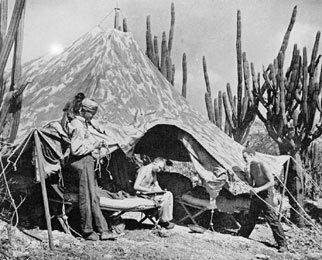 Immediately after the attack, artillery positions were taken: at the Seroe Colorado lighthouse and at the Sea grape Cove tent camps sprang up. As of that moment, the lake tankers that brought in oil from the Lake of Maracaibo to Aruba, had to proceed very carefully: they only sailed in convoy and escorted by marine vessels and patrol aircraft. 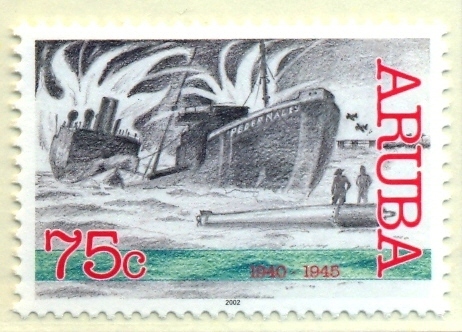 In 1944 too, some ships were torpedoed off the coast of Aruba. As of 1942, the supply of water and food had become precarious. This was due to the big number of people, mainly military, that had come to the island and furthermore, a lot of construction was taking place. Like always, the island had to rely totally on exported goods from abroad, but the Battle of the Atlantic raged in full force and a lot of boats, carrying food and supplies, did not make the crossing. Aruba has its own war hero: Boy Ecury, born in 1922. Since 1937, he was a student in the Netherlands and stayed there when the war broke out. His big sense of justice and his urge to fight the occupier prompted him to join the Dutch Resistance in 1942. While on an important mission in Rotterdam in 1944, he was apprehended by the Germans and jailed in the Scheveningen prison. He refused to name his resistance friends and in November of that year, he was executed by firing squad on the Waaldorpervlakte. After the war, his remains were transferred to Aruba and there he was buried with military honnor in April of 1947. 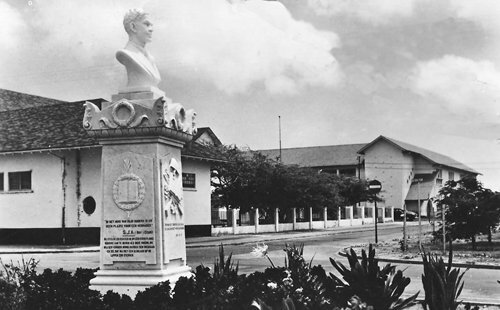 In commemoration of Aruba’s resistance hero, a statue (bust) of Boy Ecury was erected in 1949 in a small park on LG Smith Boulevard in Oranjestad. His nephew, Ted Schouten, has written a book about his story, titled 'Boy Ecury, an Antillian boy in the resistance'; Dutch movie maker Frans Weisz has made a film of this book. The story of the exploded cannon also tells us that, beyond a fatality, there was a seriously injured crew member, who lost his leg at the explosion. After the retreat of the U-boat from the Aruban waters, this seriously injured supposedly has been taken to the island of Martinique. This island was French territory and neutral at the time. There was an army hospital there and the seriously injured was left behind there. A year later, while on a mission in the Caribbean with a different crew, the U-156 ran into trouble: it had surfaced and had let its guard down when suddenly, out of the blue, an American bomber appeared and attacked the U-boat. That's how the U-156 was lost. How this story came to be known is another chapter: there once was an American staff member at Lago who, in the years after the war, decided to spend his leave of a few months in Europe. As it was the habit at that time, he took his own car along. So there was an American car with Aruban license plates on the roads of Europe. While visiting Germany, the American once turned into a gas station to fill up and was assisted by a German who walked with some difficulty; when he saw the Aruban license plate on the car he exclaimed: "Ah, that's where I lost my leg!" And that's how the story of the exploded cannon came to be known. The history of the U-boat expeditions has been the subject of studies by several historians and so has the story of the attack on Aruba. After the war, the allies got hold of the captain’s logs of all the German U-boats and that where the story of the exploded cannon and the wounded soldier was reconfirmed. 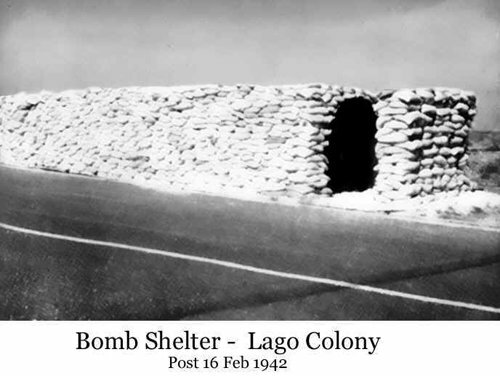 For the story of the U-boat attack on Aruba, please check out Dan Jensen's website: www.lago-colony.com . 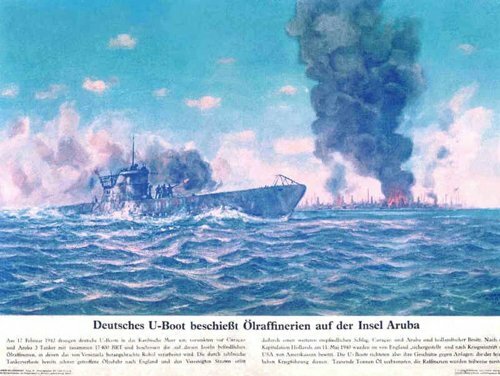 Under World War II, a world of information is to be found, like the ARUBA ESSO NEWS article, which goes into great detail about the events regarding U-156. Also: pictures and original footage in DAN'S MOVIE .